Codenamed GT-i9505G, a new entry on Samsung's Open Source Release Center set the web abuzz with what is purportedly the kernel source for the upcoming Samsung Galaxy S4 Google Edition, a joint venture between the South Korea-based giant and Google. Now, that “G” at the end shouldn't be necessarily linked with the Mountain View behemoth, for Samsung has released a number of devices in the past with similar naming conventions, such as the SGH-S275G or the 9100G. 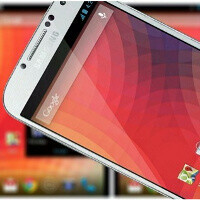 Fueling the speculations, though, is the fact that the announced release date of the Samsung Galaxy S4 Google Edition, the 26th of June, is, well – tomorrow. That, coupled with the fact that the standard Snapdragon 600-powered Samsung Galaxy S4 goes by the almost identical GT-i9505 model number, gives some considerable credibility to the assumption that what we're looking at is indeed the source code for the all-Google edition of the flagship. Those of you who are scratching their head wondering what's so special about the Google Edition should look no further – the device features identical hardware to that of the original Galaxy S4. Where it differs, however, is the software – at the expense of Samsung-specific features such as Air Gestures and Eye-tracking controls, within awaits an untempered with, stock Android 4.2.2 Jelly Bean, and the considerable perk of being among the first to be graced by any of Google's new updates. Not enough? The duo has you covered - you also get a completely unlocked device (yes, the bootloader is unlocked, too), carrier- and contract-free, at $649 for the 16GB variant, available directly from Google's site. Going to get the HTC One!!! I'm not sure why people want to buy this Google edition of this phone. Unlike the other phones, this one is jam packed with all sorts of sensors that Samsung specifically created features with. Using stock android or using a rom is putting all that hardware to waste. The sensors will sit there doing nothing. In that case, you might as well just get the HTC One version or just wait for the next Nexus. It's incredibly annoying that they don't make these Google edition phones for Verizon. I would love to have one of these and this way can keep my unlimited plan. Hopefully developers can use the source code from this to bring the IR blaster 2 Aokp ROM's and fix some of the issues in those ROM's as well (Bluetooth / GPS issues). I think most of the S4's extra features like airview & motion features are fun but nothing more than a gimmick except the IR Blaster and would love to see it brought to Aokp. I meant aosp not aokp, my bad!